If you’re looking for things to do in Cornwall, try the UK’s biggest Zip Wire, largest Swing and fresh water Coasteering including the UK’s only Blob. 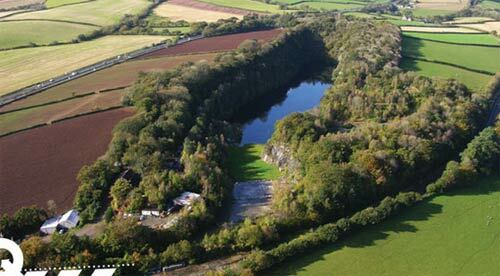 The Zip at Adrenalin Quarry, in South East Cornwall, is the UK’s biggest ever zip wire. 490m long, 50m high and reaching speeds of 40mph. Twin parallel wires cross the flooded depths of the old quarry, sheer cliffs rise on either side. 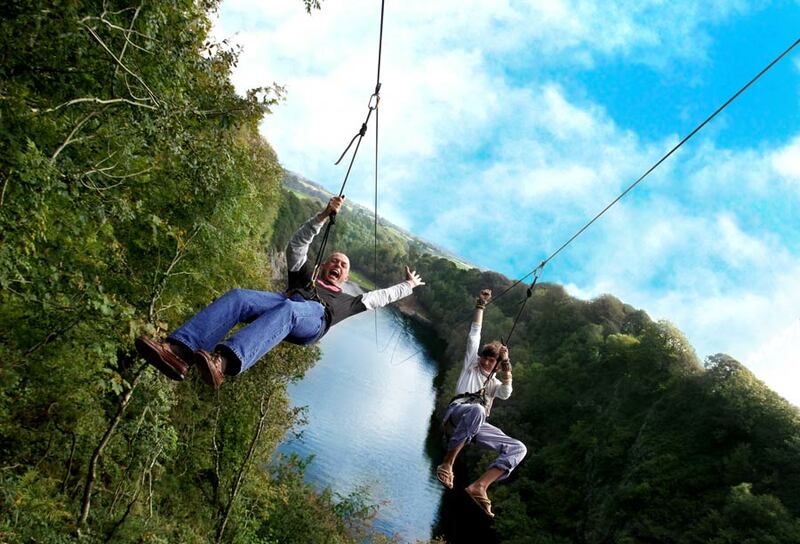 Perched at the top of our cliffs, The Giant Swing hangs 50ft off the ground, 150ft over water. You’re hoisted to 80° then plunged 3-at-a-time over the lake. Just when you think there’s no turning back, you pull out of the dive, briefly experience zero gravity, before doing it all again – backwards. THE BLOB/COASTERING WITH A DIFFERENCE! Coasteering at Adrenalin Quarry is unique. We’ve got The Blob... Your friend sits on the end of a 12x3m inflatable tube. You climb up the floating tower and jump onto the tube. Your friend shoots up into air, down in water. You’re next. It’s a massive hit here for 2013.